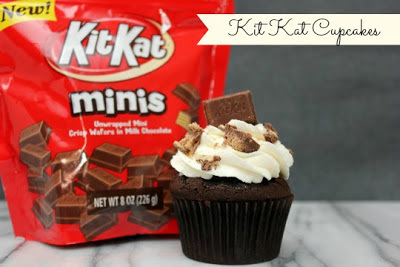 Coincidentally, Me and My Pink Mixer posted a recipe for Kit Kat Cupcakes. 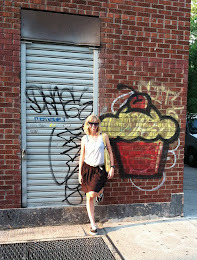 These cupcakes are made with a devil's food chocolate cake mix (yay for easy!). They are topped with vanilla buttercream and garnished with crumbled Kit Kats. Yum! I love topping my frozen yogurt with Kit Kats, so I'm sure cupcakes would be even better!